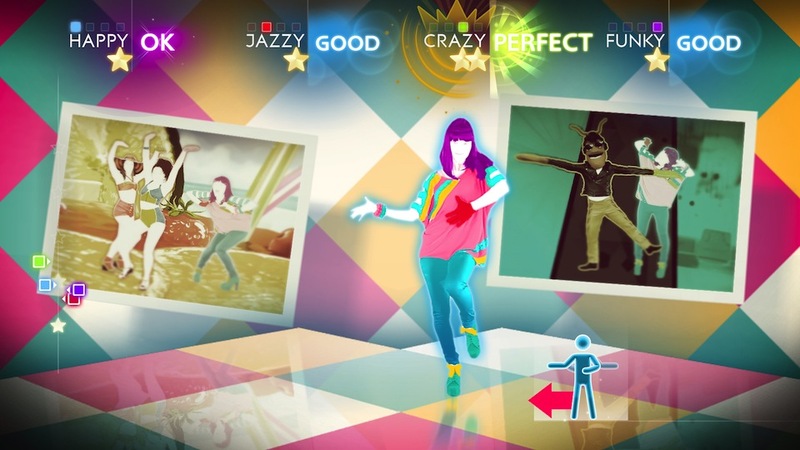 Note: Portions of this review appeared in our Xbox 360 review of Just Dance 4. 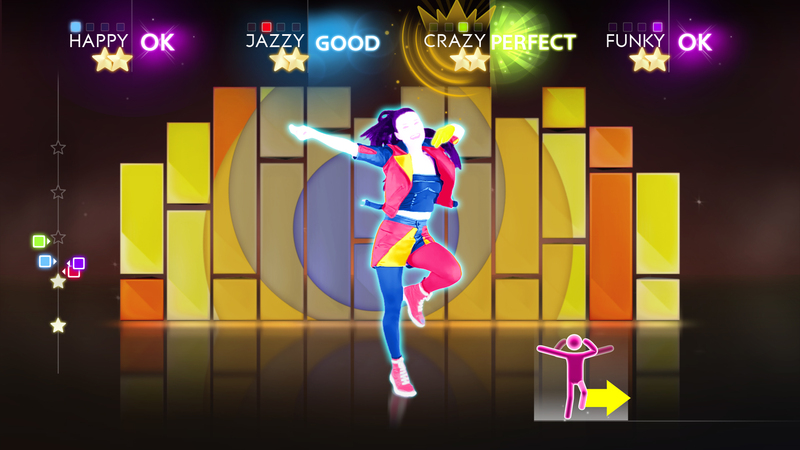 Just Dance isn’t about accuracy and precision, but what the title itself promotes: just dancing. 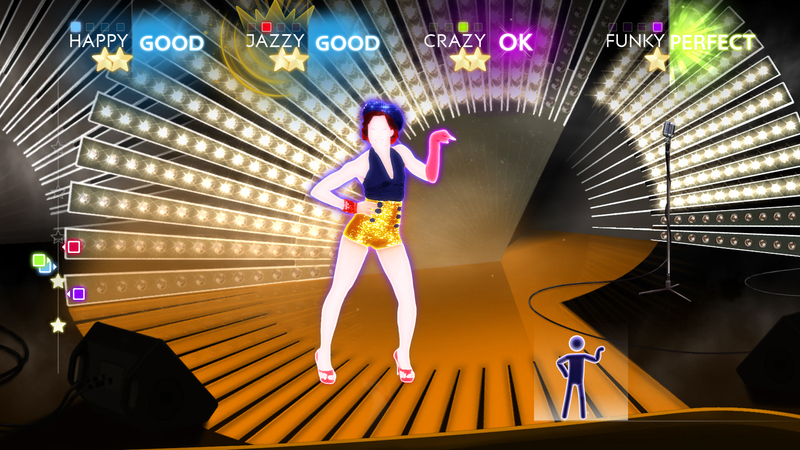 Players stand in front of their TV with Wii Remotes and mimic the on-screen moves of the dancers and pictograms. The system evaluates the precision of dance moves and awards stars based on how accurate the performance is. It’s a forgiving setup that encourages trying more than complete precision. 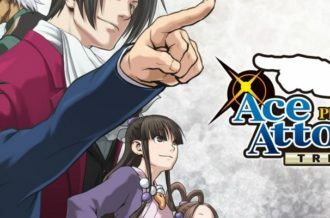 While it’s possible to get away with a half-hearted performance (especially on the Wii U), the game (and peer pressure) is strong enough to make you actually want to do as good as possible, leading to constant improvement of both moves and style. 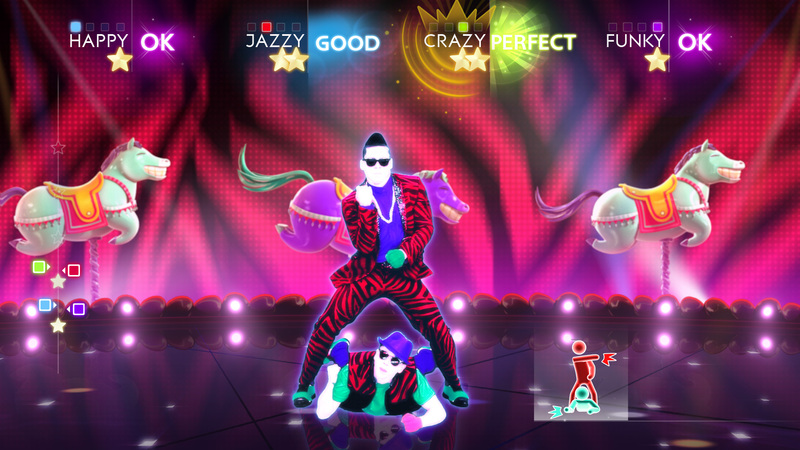 Just Dance 4 comes to the Wii U with a few new features, but largely remains the same as the Wii version. 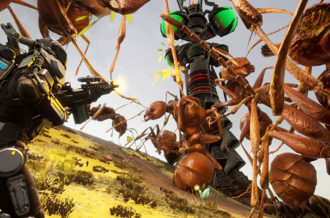 It’s also one of the first games we’ve encountered on the new console that requires the Wii Remote to play, so suffice to say, it doesn’t show off the features of the console very extensively. The GamePad can be used, but is limited to a spectator not playing the game. Dubbed “Live Control”, the GamePad allows “light painting” that lets the person holding it draw pictures or designs with the stylus over the background of a song. If that gets tiring, the screen can be filled with the song’s lyrics for karaoke or be used to select the next song for those dancing. While the GamePad doesn’t actually capture your voice, it’s still fun to simply sing along. Also included is “Puppet Master Mode”, which lets the GamePad player use the touchscreen to select moves that anyone dancing has to pull off. 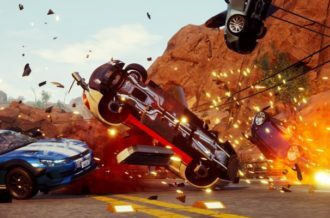 It’s a fun mode that could certainly lead to fun at a party once unlocked (it not being available at the outset is a huge oversight). It really all boils down to a way to keep fifth wheels occupied while their friends dance. One of the biggest fault’s of the Wii U version of Just Dance 4 doesn’t stem from the game, but the limitations of the console itself. While it’s a blast to play the game controller-free on the Kinect, having to hold a Wii Remote that only tracks a single arm is hardly as enthralling. As you know you can get away with sloppy footwork or keeping your other arm stationary, it allows for a lot of fudging when dancing. 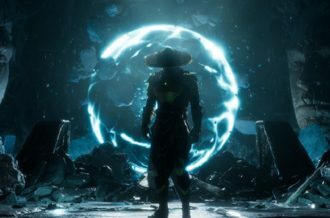 Those playing the game in a party atmosphere will in all honestly probably not even notice if it’s tracking them at all, but anybody playing to master the dance moves will find it difficult to do so. 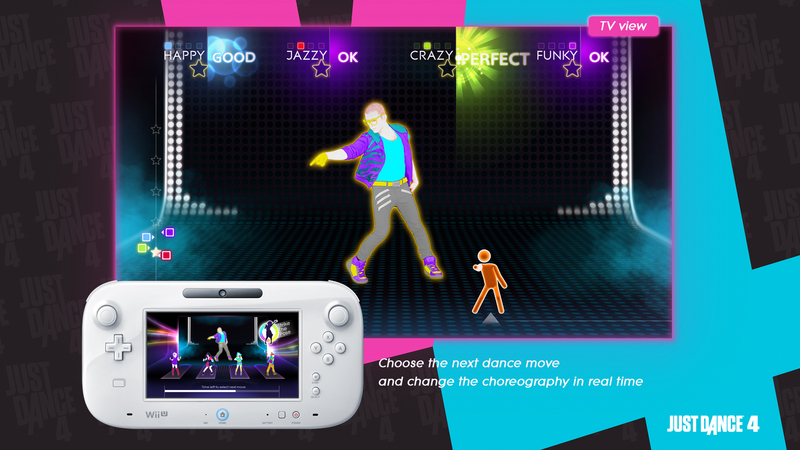 The Wii U version arrives with three bonus tracks, including the fantastic guilty-pleasure hits “Domino” by Jessie J and Cher Lloyd’s “Want U Back”. These would add value to the package if not for the fact that the game costs more than its 360/PS3 counterparts likely due to their addition. Just Dance 4 is a hard game not to like. It’s completely unpretentious and simply exists to make you have fun, hopefully starting a party in the process. The soundtrack is strong and the choreography is as good as ever. Unfortunately, without full body tracking, the game is simply not as enjoyable as it is on the Kinect. Knowing that it’s only tracking the motion of the Wii Remote, and a single arm by association, lowers the motivation to perfectly nail the moves. 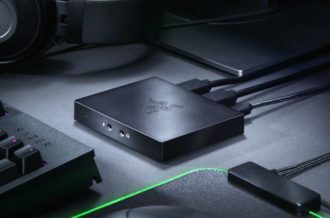 Those used to playing the game on the Wii or who don’t care about accuracy will be content, but anyone who owns a Kinect would be better off picking up the Xbox 360 version — especially considering it costs $10 less.